During the auction the bidding became confusing at one point but the non-offending pair were not damaged as a consequence. 1 (a) Alerted as a splinter by N but intended by S as Gerber. 3 (a) Wishing to press on with a slam enquiry anyway, S bid 4NT (RKCB). Although N wanted to sign off in 4♥, it made no difference whether S interpreted N’s bid as (i) a sign off, or (ii) 1 key card. Either way, with such a strong hand, S was determined to press on. Since his previous bid had been read as a splinter, 4NT was used to clarify the situation to everybody. 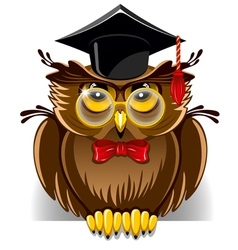 (b) To correct the misinformation she had given previously N then advised EW that “the 4♣ bid by S had clearly not been a splinter”, and accordingly N bid 5♥ (2 key cards). N went out of her way to try to clarify the situation which arose from the mis-information which she had given due to a misunderstanding of the 4♣ bid from S.
4 Missing only one key card in partnership and with a strong point count, S took a calculated risk and raised to 6♥. Careful play by North resulted in making a small slam. There is not a shred of evidence that EW were in any way damaged by the error during the auction. Quite the contrary: in fact they gained authorised information that S did not have either 1st or 2nd round control in clubs. N inadvertantly gave mis-information but EW were not damaged in the slightest (they had very few points and didn’t bid at all), but NS had their slam cancelled. 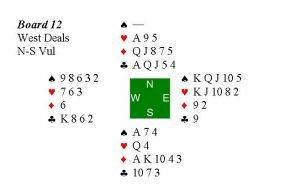 In fact EW gained slightly from N’s subsequent clarification of her interpretation of the 4♣ bid from S, because EW would then know that S didn’t hold first or second round control in clubs. Such information would have been unavailable to them without N’s clarification. We believe that the NS slam should be allowed without adjustment. 1 Announced by South as better minor. On returning home that night we saw that 7/8 pairs had made 12 or 13 tricks in diamonds, including ourselves, and 3/8 did bid a slam. Clearly a slam was there for the taking and if North had not been misled by misinformation from West, then North would have bid it for the reasons stated above. We were playing NS in both cases. I would be very grateful if you would give me your opinions as to whether I have a chance of winning an appeal. I was Director at a recent session, but am still in training, and would be grateful for your advice on this hand. We were playing duplicate pairs and a two-winner Mitchell movement. 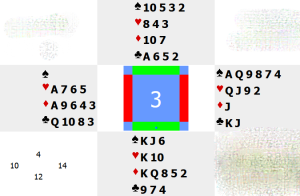 This hand was played on the first round at Table 10 by four comparatively inexperienced players. On round 2, sitting at Table 9 the hand came to me next. Our EW opponents were two experienced players including a trained and experienced director. Looking at the Bridgemates after we had played it, we were all dubious about the result which had been entered at the previous table. Our reaction was that the cards must have got muddled. We agreed to let everything stand and check the hands against the deal file at the end of the session. We subsequently found that the hands were correct and had not been muddled on the first round. The result was allowed to stand, but on later reflection I believe that Clubs instead of Spades had been entered by North at Table 10 on the first round, and this had been missed by East/West (leaving aside for the moment the whole question of whether it really was 11 tricks making rather than, say, 10). A number of players have difficulty in distinguishing the icons for Spades and clubs (and indeed Spades and Hearts) on the Bridgmates, including myself. In short, I think the error was a typographical error, but no personal hand records had been kept. When a scoring error is made it affects not only the pair in question, but everyone. In this instance Pair 22 (EW) were disadvantaged, so giving all the other EW pairs a slight boost to their scores. Similarly, NS (Pair 10) gained from the error but this causes the scores of all the other NS pairs to be slightly disadvantaged. Therefore, my question is that when a “typo” has been made on the bridgemates, can it be corrected later? Do the rules give the director any discretion to correct the icons (suits) entered under any circumstances? 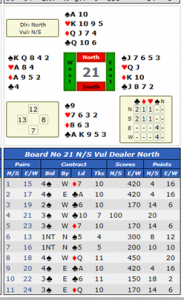 (b) gone back to those who played hand 21 on the previous (first) table to ask them to re-check the recorded score. 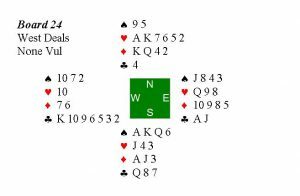 1♦ by South (better minor), Pass, 1♠ by North, Double by East (not alerted), Re-double by South, Pass, Pass, Pass. East comments before opening lead “Let’s see how this goes”. Could you please advise me on whether it is permissible to open 2NT showing either both minors or both majors. I believe this is a part of Modified Precision as played by the Hacketts.